A practical lighting source that doubles as a unique accent piece! 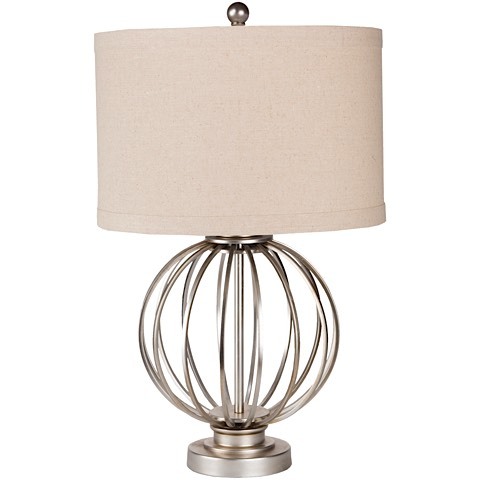 The Thela Table Lamp features an spherical metal base finished in an Antiqued Silvertone. 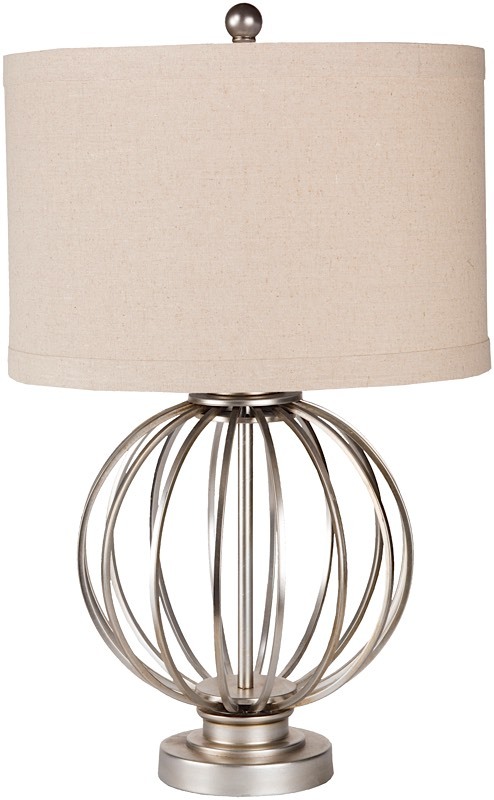 The "modified drum" linen shade is 10" tall. Thela comes with a 6' cord, a 3-way switch, and requires one (1) 100 watt bulb which is not included.